Item # 313968 Stash Points: 8,995 (?) This is the number of points you get in The Zumiez Stash for purchasing this item. Stash points are redeemable for exclusive rewards only available to Zumiez Stash members. To redeem your points check out the rewards catalog on thestash.zumiez.com. 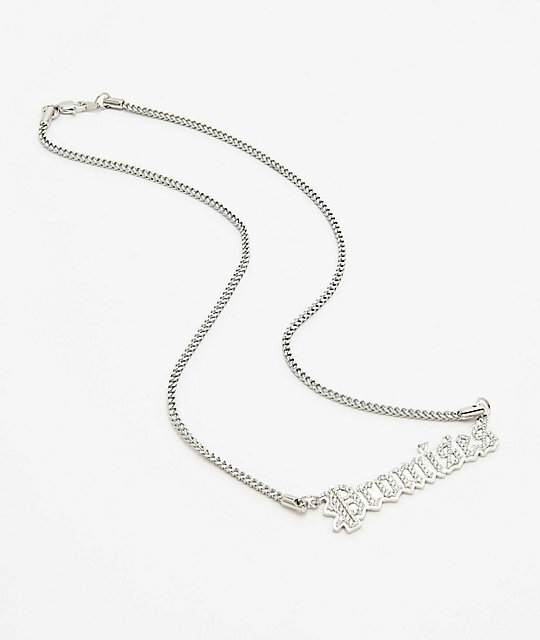 Show your love for Broken Promises in sparkling style with the Saint Midas x Broken Promises Iced Slogan 20" Silver Herringbone Chain Necklace. 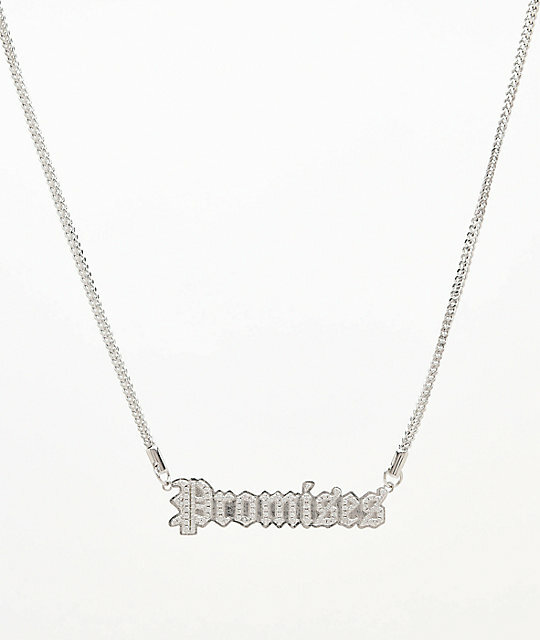 Coming on an all-silver PVD plated herringbone chain, this flashy piece of neckwear is highlighted most prominently by the large, engraved Broken Promises pendant complete with CZ inlay for a classy look. 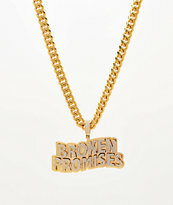 Iced Slogan 20" Silver Herringbone Chain Necklace from Saint Midas x Broken Promises. Official Saint Midas and Broken Promises collaboration. 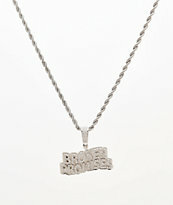 Engraved "Promises" script logo pendant with CZ inlay.